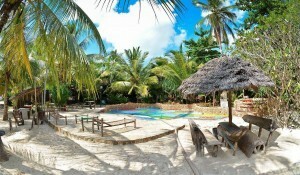 Hofland Expeditions offers in Zanzibar overnight stays in comfortable, cozy lodges and hotels. These are often intimate hotels which can be found in the most beautiful places right on the beach. The Dhow, which has the pulse of the East African culture, is carrying people, goods and treasures from and to Zanzibar since hundreds of years. Nowadays, the Dhow Palace serves as a meeting place for people and cultures from all over the world, amid a backdrop of artifacts from days gone by. 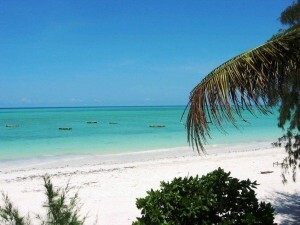 right in the heart of Stone Town, has witnessed many events place on Zanzibar. The Dhow building itself became the center of attention when it was rebuilt in 1993 from a mansion to this elegant hotel. In 2005, the beautiful new wing was added. The Dhow Palace can be described as a living museum dedicated to furniture, art and oriental ornaments that have found their way in past centuries to the Zanzibar coast. Mwezi means moon in Swahili and represents all that is rhythmic and cyclic. 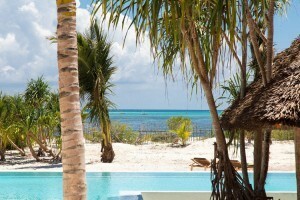 The hotel offers a total of thirteen lodges seven full moon Houses, Moon five houses, and a Beach House. All lodges are located in two staggered rows, so that from every lodge in the spectacular views of the Indian Ocean is present. Each room has a private entrance and a large veranda where you can enjoy the sea air and the view. Each lodge is like a shell slightly sunken in the sand. Unlike the moon Houses, the Full Moon houses feature a living room with a large built-in sofa and a terrace on the sea. The Beach House is a small house on the beach with kitchenette and stunning sea views. The lodges are all unique and different and in an exclusive way furnished in an exclusive way. The entire interior, accessories and furniture, from the comfy king size bed, designed by the owners in collaboration with the local community in a creative workshop. The artwork and paintings from young African painters and sculptors. These are the sheep own mwezi Boutique Resort so unique and special. 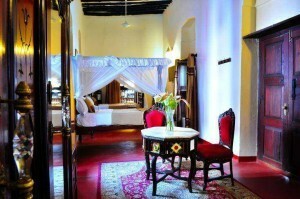 There is no other hotel in Zanzibar like this with unique touches of passion made hotel where you look. The hotel is ideal for those is looking for a hotel based on fine details. Book this beautiful hotel to fully experience the magic of Zanzibar. Paje By Night is different from other hotels in Zanzibar. You’ll find white sand, palm trees and many traditional construction techniques in the hotel, from the lamps to the very unique pool. special guest as you will find in any other hotel in Zanzibar. 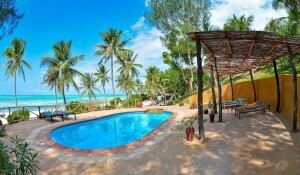 Kichanga hotel is one of the best kept secrets of Zanzibar, located under swaying palms in a beautiful setting on the southeastern coast of the island. 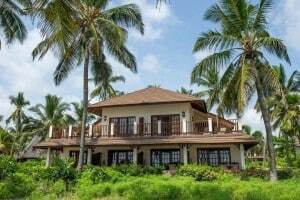 This private resort houses charming bungalows with ocean views, located on a beautiful hillside to the sea. 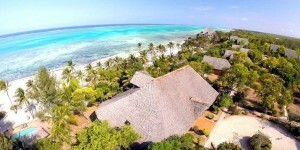 Kichanga Lodge not only offers the perfect combination of romance and relaxation, but also lively beach activities such as kite surfing and diving for the adventurous vacationer. 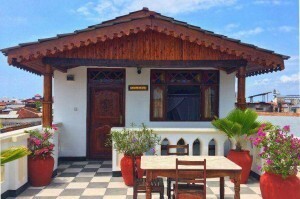 It offers charming bungalows with a fantastic view of the ocean, perched on the sea. Ideal for families or groups of people who want to experience an unforgettable holiday in a private atmosphere. On one side of the hotel there is a garden and on the other a long white sand beach for a walk along the coast. 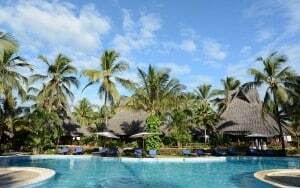 Breezes Beach Club Zanzibar is one of the finest hotels on the island and is the ideal choice for those looking for a romantic getaway. The hotel is famous for attention to detail, intimate and private dining, beautiful Zanzibari decor with beautiful carvings, shimmering copper and rich fabrics create an elegant and unique atmosphere. 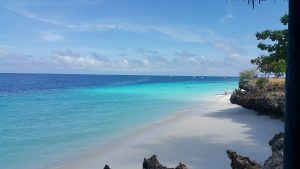 The hotel is situated along a pristine beach on the South East coast of Zanzibar island in the most peaceful and unspoiled part of the island. The beach is in the top 30 of the most beautiful beaches in the world. The hotel also has a nice spa. 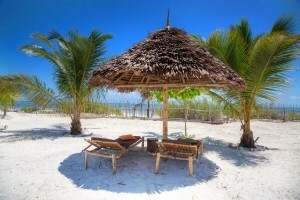 For centuries, the island of Zanzibar has evoked a mystical and magical dream. There is no better place to experience the fantastic environment, beautiful beach and experience our friendly staff. *All prices are subject to rate changes.